Enjoy reading and share 1 famous quotes about Edible Ella Frank with everyone. “At the front window was something that looked like a machine gun with a cluster of barrels. "Rocket launcher?" he wondered aloud. "Nope, nope! Potatoes. Ella doesn't like potatoes." "Ella! Where are the others?" "Roof. Ogre-watching. Ella doesn't like ogres. Potatoes." "They have cannonballs," Frank said, "and we have a potato gun." 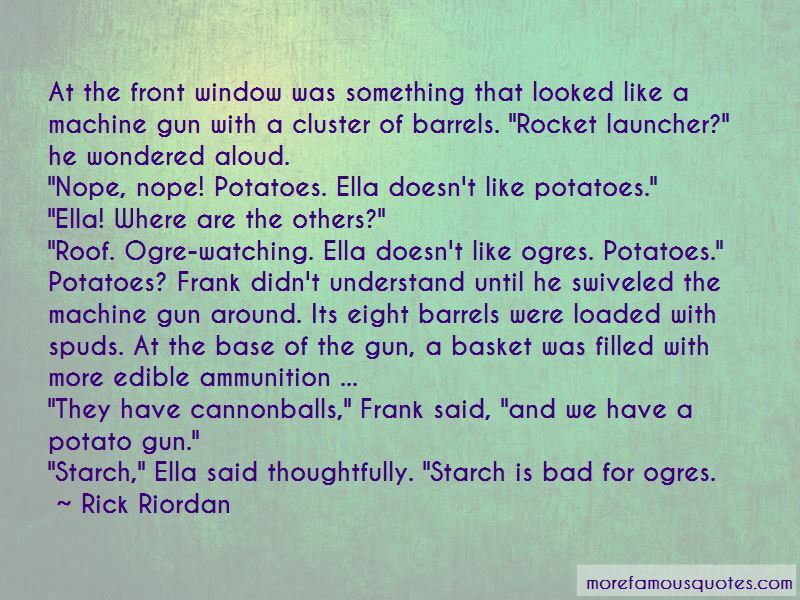 Want to see more pictures of Edible Ella Frank quotes? Click on image of Edible Ella Frank quotes to view full size.